If you wish to change your password simply click on the account link on the top-right side of this page (you must be logged in to see the account menu item), than in the account page jump to the profile tab where you will see all password options. If you don't remember your password and you are logged in just click on the login link and you will see another link called lost password under the login submit button, just paste your username or email address and click submit ro get a new password. Yes, after the purchase automaticaly you will get a pdf invoice in your mail inbox. 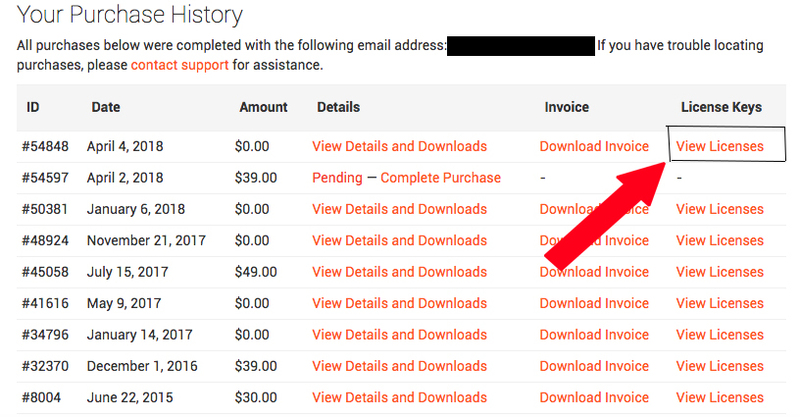 What does "Pending" and "Abandoned" mean? Is there a problem? Should I be a registered user to make purchase? You don't need to be a registered user to purchase an item in our store since the system will automaticaly generate an account after the purchase, but if you already have an account its better to login. My files are missing! How do I get them back? If your theme files are missing in the account page just drop us a mail and we will take a look in your account to see if there is any technical problem or a different issue.So, you wont lose any file with us, we stand behind our customers. How do I get help for purchased items? Our support forums are dedicated and restricted to buyers, the topics are also public for other customers.If you have purchased any item you will be automaticaly enabled in the forum category of the purchased product.If you don't want to make a public topic we give the possibility to open or reply in private mode, that is visible only by the topic author and forum keymasters. After we have processed your payment successfully, you will receive an email with your order number and other purchase information. Your license key is available in your account area along with your plugin downloads. You can download the theme/plugin by logging into the account created for you when purchasing the plugin and clicking on the appropriate link. Should you not receive an email containing your information, you can contact us through https://mytubepress.com/contact-us/ to request your purchase information. Access to re-download purchased files will be granted so long as your license key is valid. If a license key expires, download access to the associated files will be discontinued until such time as the license key is renewed. Before a refund will be granted, you must allow us to try and help solve any problem you have by opening a support ticket. NOTE: refunds will not be granted if you simply decide not to use the purchased products. We stand behind our products and will assist you in solving any problem you have, but we also expect you to adequately understand what you are purchasing and why.Non use of a license key cannot be a reason for refund.If you have problems getting themes to work, we will be happy to provide a full refund within 30 days of the original purchase. After 30 days, no refunds will be given. What does a License key and why I need to activate it? A license key is required to get support and updates,since your license key is active you can use our support forums and you can update purchased products with just one click from the wordpress dashboard like all other wordpress plugins and premium themes. Can I use theme settings panel if my license key is expired? Yes, if a license key is expired you can continue using theme settings panel without any problem but there are a few limits on an expired license.You wont be able to update to the next versions and you cannot use the support forums since you need to renew it. This is happening either because the license key is expired or it is not activated on the URL the theme is installed on. This can sometimes happen if you install the theme and activate the license key on a temporary URL and then update the site to the final URL. To resolve the problem, log into your account, click on the License Keys tab, then click on the Manage Sites link for the license key. From that page you will be able to add or remove URLs for the license. Once the proper URL is registered on the license key, you will be able to install the update. How do I remove a domain from my license key? To manage your license key, log into your account and jump to the client area page where you will se your purchase and license list. After that page you will go in a new section like in the below screenshot. Click on manage sites and deactivate the url assigned. For the activation of a new url you must use your wordpress site dashboard > appearance > theme license.